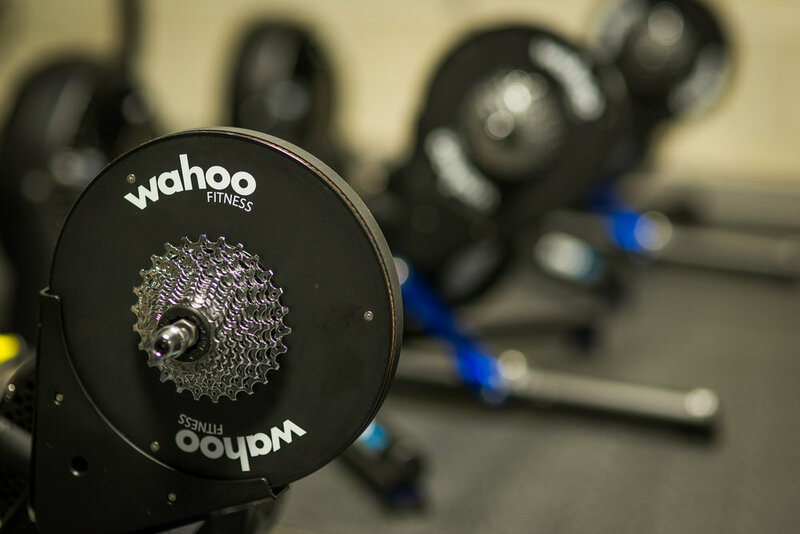 Our cycling studio offers cyclists and tri-athletes the safest and most specific methods of training available. At Four3, goals are determined by athletes and driven by science. Reserve your spot today using the MindBody app. If you have any questions please contact us at info@teamfour3.com. Functional Threshold Power represents the highest possible power that can be maintained over 45-60 minutes. This test consists of a 30 minute warm-up followed by 20 minutes of the max effort that can be sustained for the duration. An athlete’s FTP is determined by taking 95% of the average power that can be maintained over the 20 minute period. Determining your FTP is the cornerstone to setting up power and heart rate zones for cycling. An FTP test is challenging and athletes should prepare for this session with proper nutrition, hydration, and rest prior to testing. Sweet spot sessions are performed at 75-90% of FTP with the primary goal of increasing your muscular endurance. The aim is to improve your ability to resist fatigue at reasonably high power outputs over a substantial period of time. These workouts improve your ability to climb longer, face headwinds, or improve time trial times. Threshold workouts use your FTP and breaks it up into shorter, more manageable chunks. Working at or close to your FTP improves your tolerance to this level of intensity, and over time will improve this baseline value. Workouts generally consist of 2-4 intervals ranging from 8-20 minutes with recovery between each. VO2 Max intervals are hard efforts, generally 3-5 minutes, ridden at 110-125% of your FTP. The goal of VO2 max intervals is to raise a rider’s oxygen consumption up to max level as quickly as possible and to hold this level for a period of time. VO2 max intervals are intense and generally bring a riders heart rate to just below their maximum.